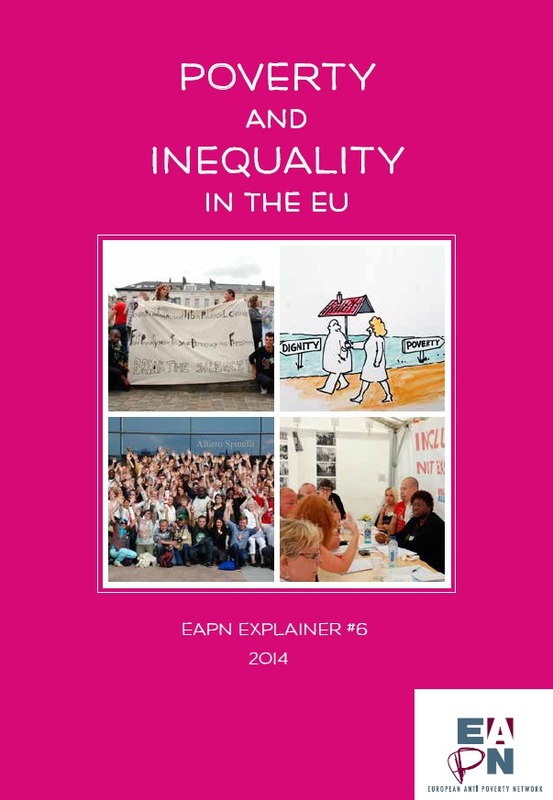 EAPN issues its new and long-awaited Explainer on Poverty and Inequality in the EU, an update of the Explainer of the same name issued in 2009 and one of EAPN's most popular publications. This explainer sets out to provide a simple introduction to the poverty debate. It focuses primarily on current perspectives on the nature and extent of poverty, its causes and its links to inequality. It explains how poverty is understood and measured currently in the EU, and highlights some of the shortcomings of these approaches. This explainer, firstly published in 2007, updated in 2009 and then again in 2014, 2015 and 2016 as part of EAPN’s build-up campaign around the 2010 European Year Combating Poverty, was the first of a series of explainers aiming at making poverty more visible, understood and acted on. This version (2016) provides an update, incorporating the latest EU SILC data, and the new EU policy context, namely the Europe 2020 Strategy. The booklet is equally intended as a tool for other civil society organisations, trade unions, academics, the media and other stakeholders, including public opinion, to understand the causes and the impact of poverty, social exclusion and inequalities for those directly experiencing them and also for society as a whole. Poverty in the European Union is a very real problem which brings misery to the lives of many people, curtails their fundamental rights, limits the opportunities they have to achieve their full potential, brings high costs to society and hampers sustainable economic growth. This explainer was drafted by Claire Champeix (EAPN Secretariat, Brussels) with support from Sian Jones (EAPN Secretariat) and the EAPN EU Inclusion Strategies Group. The original explainer was the result of a fruitful collaboration between Hugh Frazer and the EAPN Social Inclusion Review Group. All EAPN’s publications are available on EAPN’s website www.eapn.eu.